Nowadays, different generations work together under the same roof to reach one goal. Generation X was born between 1965 and 1979 whereas Generation Z (also known as the post-millennial generation) defines those who are born between 1995 and 2012. Generation Z happens to be the newest to enter the workplace and understanding how to deal with them can yield great benefits. The new world is full of opportunities and with the ever-changing job landscape; Generation Z has mastered technology from a very young age and was able to discover the world through digital platforms. 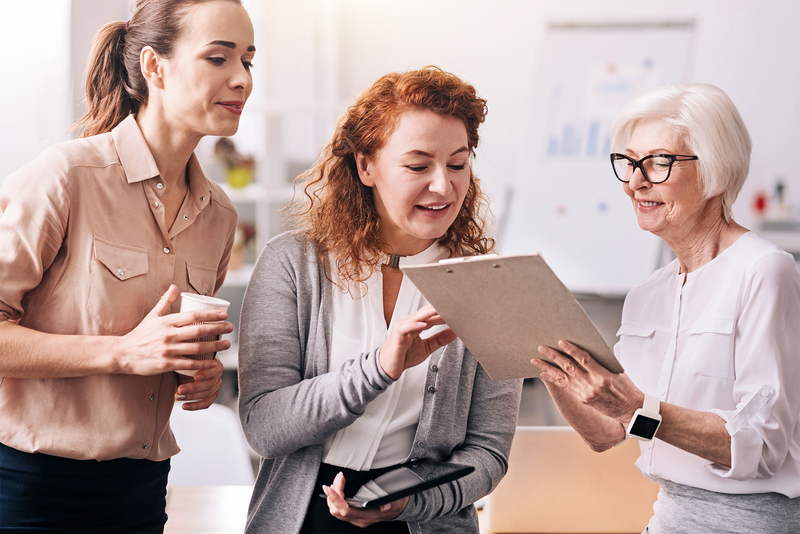 A multigenerational workforce can be challenging but if managed correctly, your business can benefit from the having multiple mindsets. According to a recent Barnes & Noble College research Generation Z is more financially driven in comparison to Generation X and even though most of them appreciate college education, 51 percent of 1300 high school students clarified that they prefer learning by working directly. A survey by The Center for Generational Kinetics, nearly eight out of ten members of Generation Z claims that they earn their own pocket money. Trying to acquire early independence, Generation Z’s ability to start early in life and their proactivity can be very beneficial to any workplace if managed correctly. Their quest for autonomy and liberty makes them solve their own problems and while Generation X might take the help of traditional methods to resolve issues in the workplace, Generation Z can be more innovative. Even though Generation X was the first generation to witness the birth of computers, it was Generation Z who was born into the technological era where the world can be accessed with the click of a button. The latter naturally adapted to their highly distracting surroundings and can be seen doing multiple things at the same time without even thinking about it. While this might decrease their concentration, their ability to multi-task definitely defies that of Generation X. If you have a task that requires a long period of time to work on and a high level of concentration, you can always assign it to an employee who belongs to Generation X as they are more likely to do the job better. However, Generation X’s ability to rapidly switch between tasks should not be undermined either as this can be a great time-saving quality. Generation X and millennials are known to love teamwork but due to Generation Z’s big love for independence, they prefer working on their own. The study conducted by The Center for Generational Kinetics, generation Z is the most entrepreneurial generation yet. This makes them very competitive in the workplace as they want to be recognised individually rather than have the team they work with take credit for what they are working on. This can be beneficial to a certain extent as their constant need for success will ensure they are doing their best to make your business succeed. Generation X are hard workers and do not mind long working hours and they taught Generation Z the importance of working hard which is why they are interested in constantly developing and building their skill sets so that they can stay relevant to their workplace. Acknowledging the differences between generations in the workplace is a must because it allows you to manage your business better. With differences comes strength and knowing the strong points of each generation can yield great results. Treating your employees as individuals with different abilities will ease the process of integrating them into the business culture without compromising on what each employee can offer.